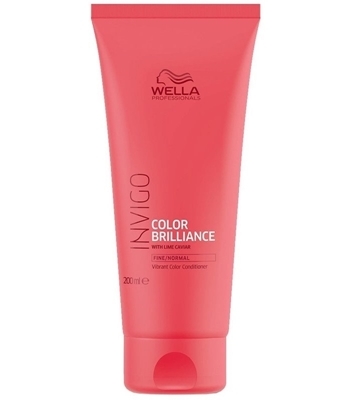 Wella Invigo Color Brilliance Fine/Normal conditioner improves the hair surface and enhances color vibrancy in fine to normal, colored hair. With its Antioxidant Shield Technology, it provides instant shine and long-lasting color protection whilst key ingredient, Lime Caviar, adds a potent mixture of antioxidants and vitamins. 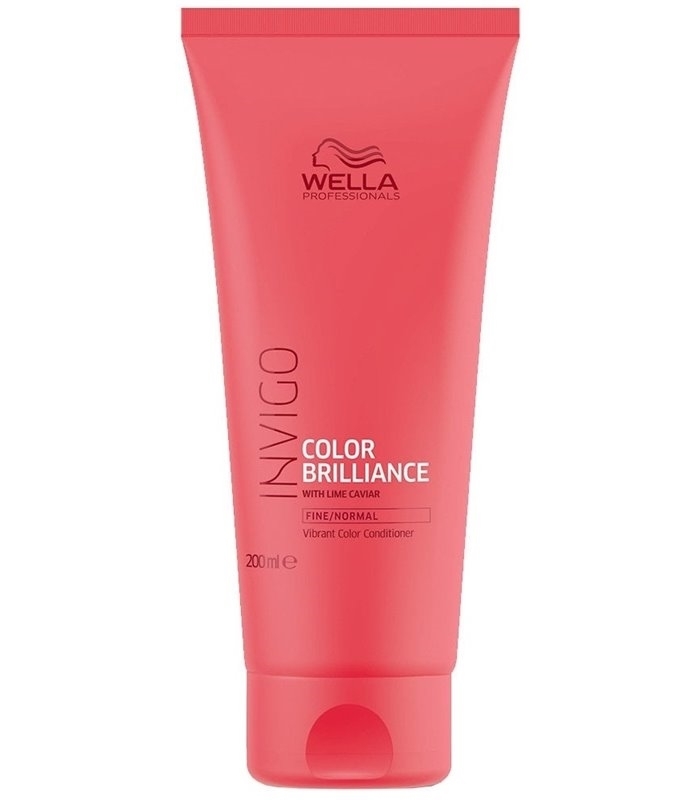 Formulated with Copper Encapsulating Molecules to maintain vibrancy, this conditioner helps control the post-coloring oxidation process through the inclusion of Histidine and Vitamin E.
Application: Apply to damp hair which has been washed with Wella Invigo Color Brilliance shampoo. Distribute and leave for 3-5 minutes. Rinse thoroughly.